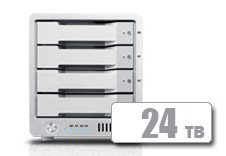 The T4 Thunderbolt 3 is a 4-bay storage solution that offers extreme performance and a new level of flexibility not available from traditional solutions. With performance up to 1370MB/s and dual Thunderbolt™ ports, the T4 is the ideal device to integrate into modern 4K workflows. 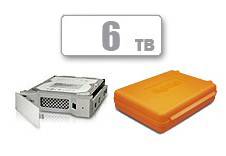 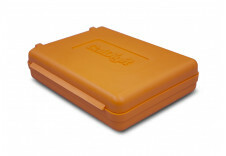 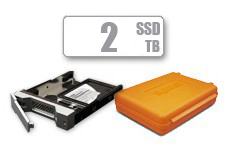 Also, supporting RAID 0, 1 and 5, the T4 is a versatile storage device. 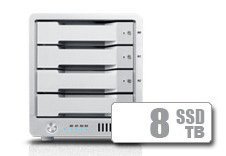 The flexible 4-bay design allows users to have two RAIDs in one unit. On top of all these great features, the T4 features an industry leading 5 year warranty that is also backed up by CalDigit’s world renowned technical support. 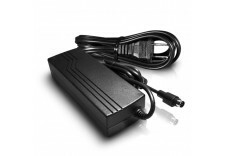 Replacement Solid State CalDigit Drive Module • Compatible with AVPro2 • 2T..
CalDigit T4 Thunderbolt3 Power Supply • 230 Watt OEM Power Supply • Compatible wi..